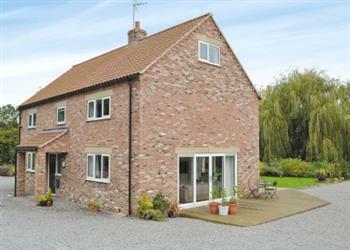 Araminta in Kirkbymoorside, near Pickering sleeps 10 people. Araminta near Pickering is quietly situated on the edge of the delightful market town of Kirkbymoorside; Araminta is a modern detached holiday property, and stands within its own spacious garden. It is beautifully presented with a high specification with open plan dining room/kitchen and large living room. Araminta is ideal for large family gatherings and get-togethers for couples and friends. The ground floor is bright and airy with four sets of French doors leading out to the large decked area which is perfect for alfresco dining, or simply relaxing at any time of the day. A short walk leads to the bustling market town and an interesting selection of pubs, shops and cafés. There are numerous walking and cycling trails locally, with the North Yorkshire Moors National Park close by and mountain bike hire in Dalby Forest, 13 miles. Visit the walled garden, castle ruins and The International Centre for Birds of Prey at Duncombe Park in nearby Helmsley, 6 miles, or take the famous steam train from Pickering, 7 miles, and sit back and enjoy the stunning scenery as you are transported to the ancient fishing port of Whitby. The coastal resorts of Scarborough and Filey are also within an hour’s drive. Historic houses can be found at Nunnington Hall and Castle Howard and there are abbey ruins at Rievaulx and Byland. The medieval city of York, 27 miles, is packed with world-renowned attractions and exquisite architecture and appeals to all ages with numerous festivals throughout the year. An 18-hole championship standard golf course is located 550 yards away. The shop, pub and restaurant are all 800 yards from Araminta near Pickering. 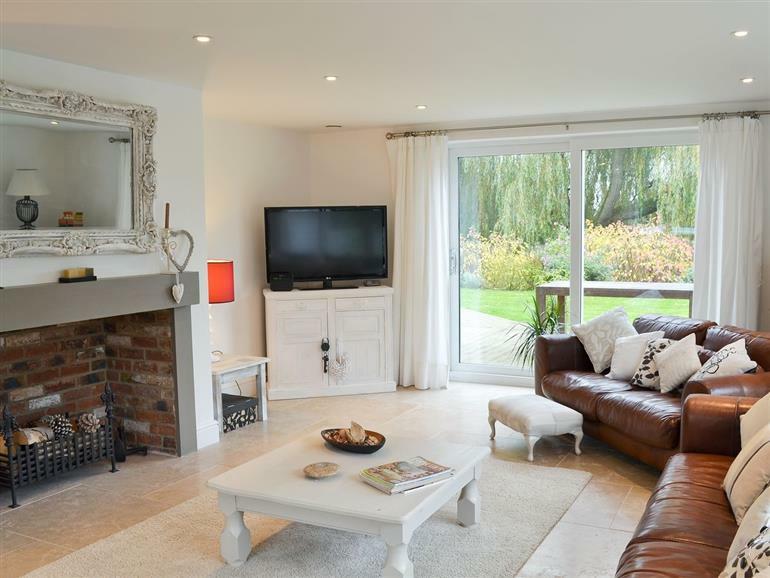 Large open-plan living/dining room with kitchen area and patio doors to decking and garden. Utility with toilet. First floor: Double bedroom with 6ft bed, TV and en-suite bathroom with separate shower cubicle and toilet. Further double bedroom with en-suite bathroom with over-bath shower and toilet. Twin bedroom with TV and en-suite bathroom with over-bath shower and toilet. Second floor: Two bedrooms, each with sloping ceilings; one double, one twin. Bathroom with shower attachment and toilet. For a better idea of where Araminta is, you can see Araminta on the map below. Araminta is in North Yorkshire; should you be on the lookout for a special offer, you can find all the special offers in North Yorkshire. It's always worth checking to see what is on offer at the moment. Do you want to holiday near Araminta (IZJ), you can see other cottages within 25 miles of Araminta; have a look to find your perfect holiday location.